Company anniversary coming up? Not sure what to give staff during the festive celebrations? Stylish electronics are the way to go! Handheld bluetooth speakers are portable and are used by most people! 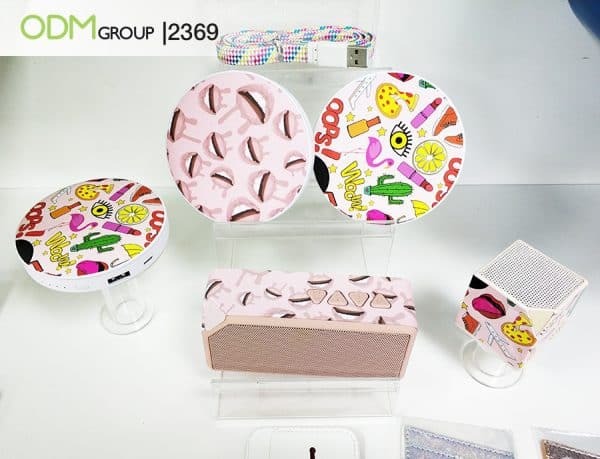 Read this blog to find out why you should invest in these mini chic bluetooth speakers for your company promotions. This branded corporate gift could be a great way to nurture your relationship with employees and clients. A corporate gift is an item of value given to an employee of the business without expecting anything in return. It is usually given as a way of saying thank you for their hard work, or it can be given when the business achieves something it wants to celebrate with staff, such as an anniversary. Increase staff retention. When staff receive gifts from your business or company, they feel valued and this raises morale in the workplace. In turn, this creates a stronger workforce which increases staff retention. Can be simple or grande. Corporate gifts can be anything from complimentary pens, to VIP leather duffle bags! There is no limit on what you can give, so you can definitely find something to reward staff within your budget! Promote brand awareness. If the product you gift contains the company logo or name, then this instantly creates a great promo for the brand! Can be for clients and customers too. Recently, Aigner promoted their brand with a gift-with-purchase leather pen pouch for every pen purchased. The pouch is an example of a premium corporate gift that will boost their marketing campaign. These mini handheld bluetooth speakers are the perfect corporate souvenirs! Why? Not only do they conveniently fit in your hand, but they are premium quality, which means excellent audio quality! The better the quality gift the more staff will appreciate the thought and effort that went into it! 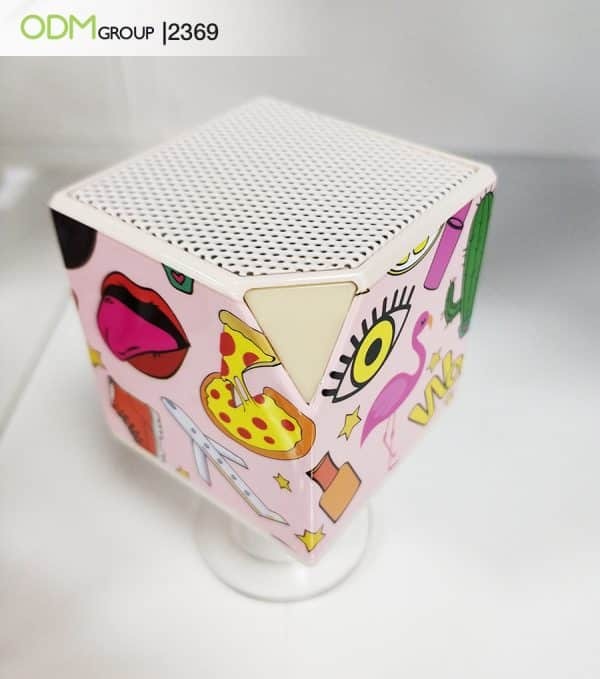 These custom bluetooth speakers also come in many styles, so there will definitely be a design for just about everyone! Plus, you can get your brand imprinted on the mini-bluetooth speakers. Not only will you improve corporate relations, you’ll also be able to get your brand out there. Whether it’s a podcast, audiobook, or music.. these mini speakers can play anything through the bluetooth connection to your mobile phone. It has transmission range up to 10 meters so don’t worry about having your phone on hand! This 70g speaker is light and easy to carry, which means staff can pop it in their pockets or handbags and take it anywhere. You may even consider combining it with other small electronics like this retractable phone charger as part of a corporate gift package! Practicality is important with company gifts and you might want to add other branded corporate gift for employee appreciation. This branded card holder would add to a great corporate promotion. Aren’t they great as corporate gifts for clients, employees and customers? 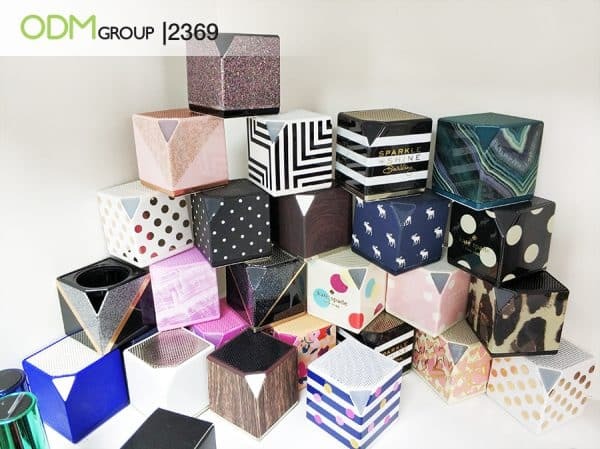 If you want to order some stylish handheld bluetooth speakers, contact The ODM Group with product code 2369 for a quote! 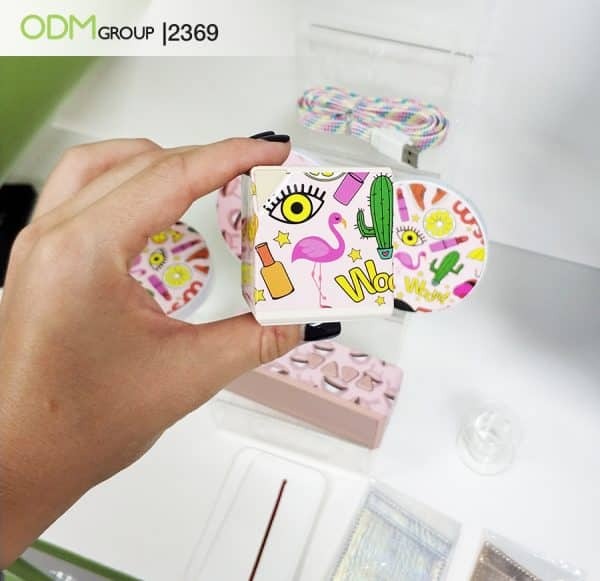 Ask about the matching LED light-up power bank that comes designed as a pocket mirror (product code 2368) in the above picture! You may also speak with our design team, Mindsparkz, for design options! Retractable badge reels for convenient company badges! How about these eye-catching oriental dragon pens for executives! Step it up with this innovative USB-powered mini fridge!